30 minutes for the power bank recharge. Fancy and compact design. 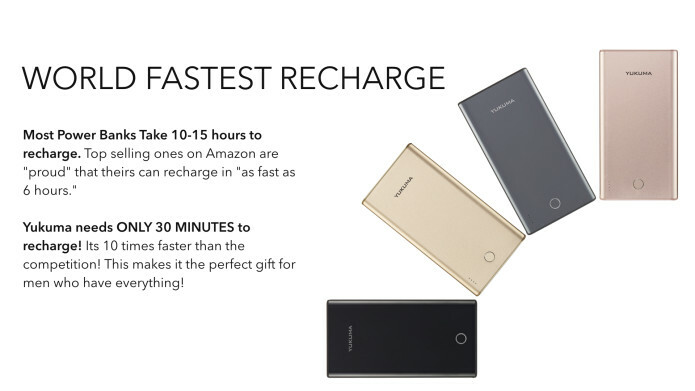 FASTEST RECHARGE IN THE WORLD - Most Power Banks Take 10-15 hours to recharge. 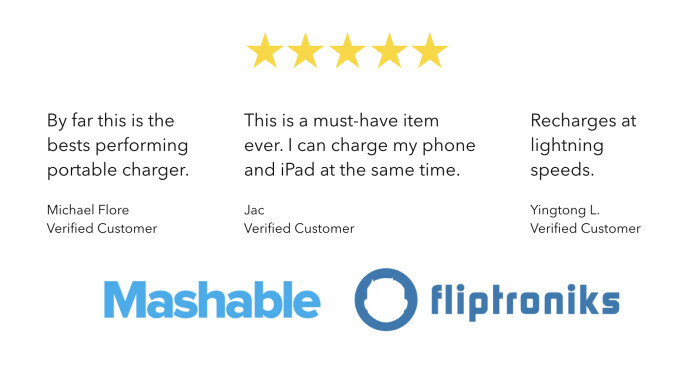 Top selling ones on Amazon are "proud" that theirs can recharge in "as fast as 6 hours." 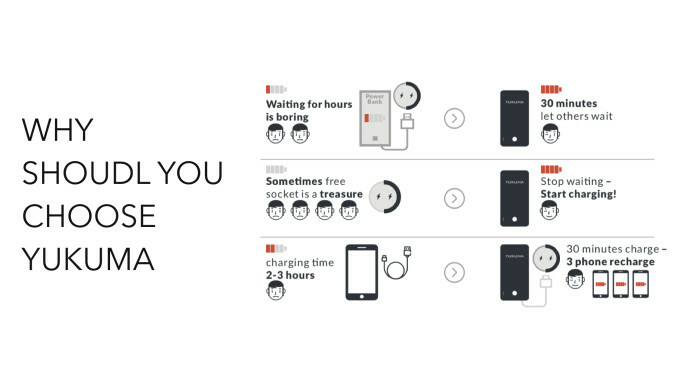 Our powerbanks charging block takes ONLY 30 MINUTES to recharge! Its 10 times faster than the competition! This makes it the perfect gift for men who have everything! 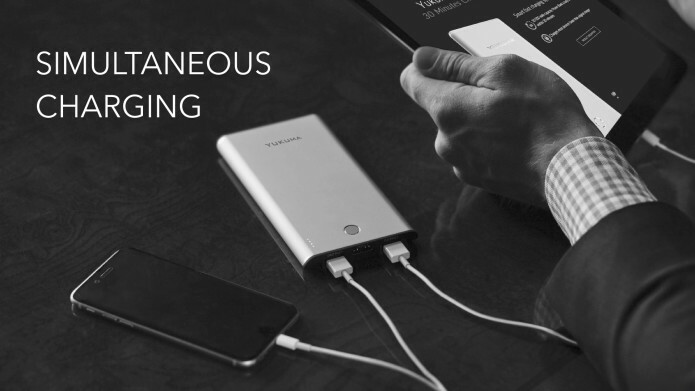 SIMULTANEOUS CHARGING - Two USB ports allow you to charge your phone at the same time as your tablet, digital camera, GPS device, portable gaming system, Bluetooth speaker, mp3 player, iPad, and more. 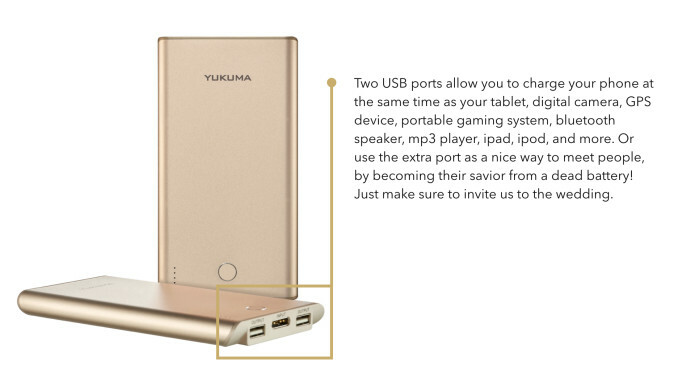 Or use the extra port as a nice way to meet people, by becoming their savior from a dead battery! Just make sure to invite us to the wedding. 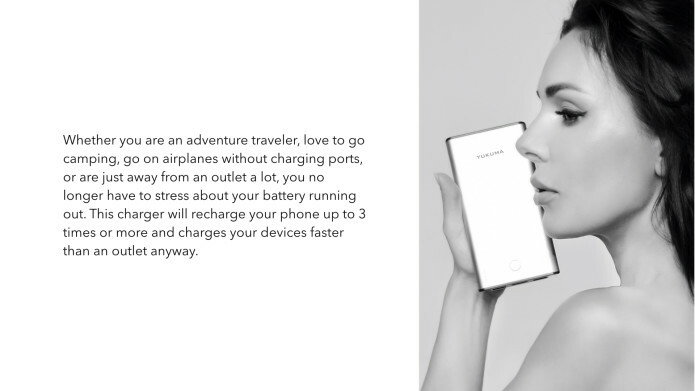 TRAVELERS BEST FRIEND - Whether you are an adventure traveler, love to go camping, go on airplanes without charging ports, or are just away from an outlet a lot, you no longer have to stress about your battery running out. 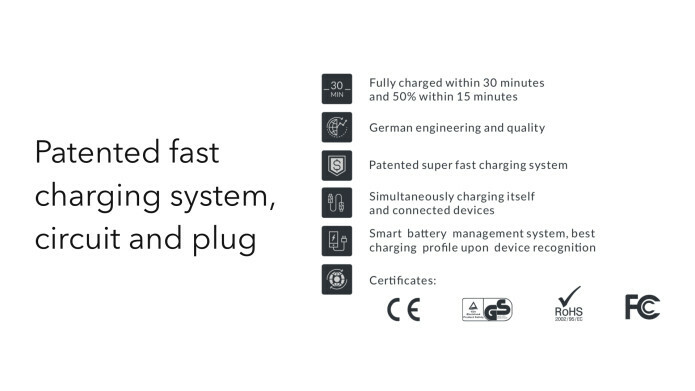 This charger will recharge your phone up to 3 times or more and charges your devices faster than an outlet anyway. 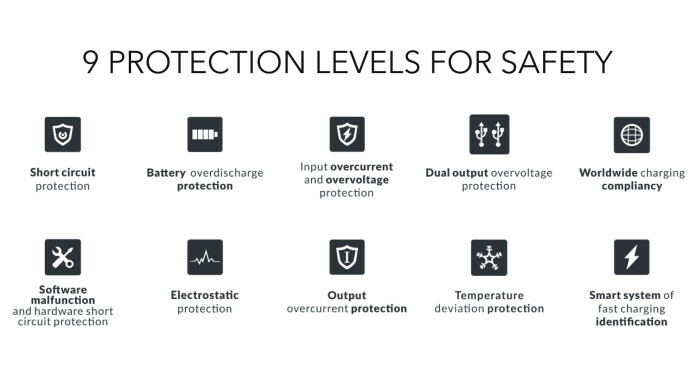 FESTIVAL AND CONCERT READY - Whether you're at EDC, Ultra, Tomorrowland, Coachella, or any other EDM or other festivals, you know your phone battery dies quickly due to the big crowd. 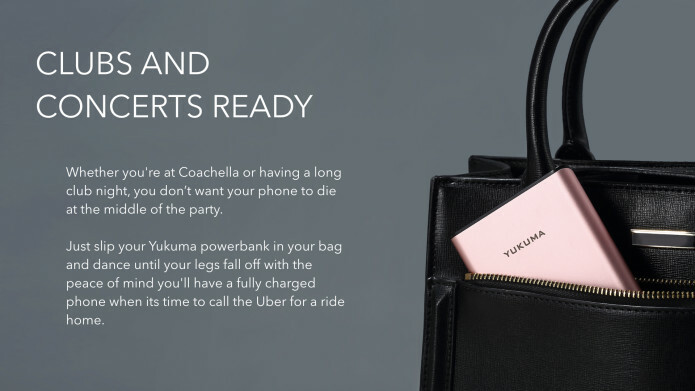 Just slip your Yukuma powerbank in your hydration backpack or fanny pack and dance until your legs fall off with the peace of mind you'll have a fully charged phone when its time to call the Uber for a ride home. 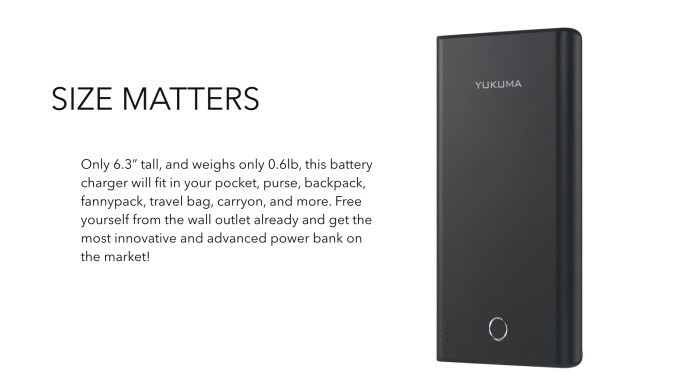 SIZE MATTERS - Only 160 mm tall, and weighs only 270 grams, this battery charger will fit in your pocket, purse, backpack, fannypack, travel bag, carryon, and more. Free yourself from the wall outlet already and get the most innovative and advanced power bank on the market! Where is this charger made? 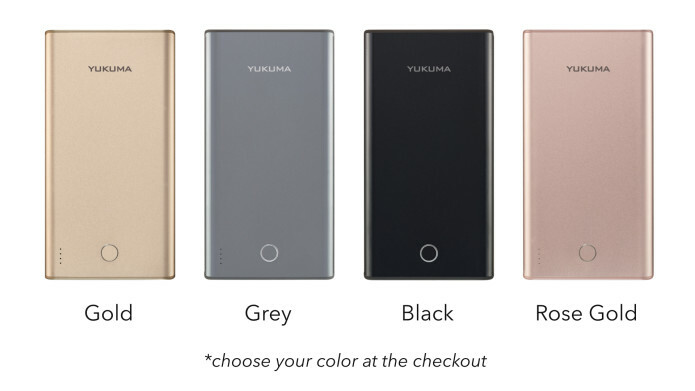 Yukuma is designed in Germany and UK, assembled in China. How do I turn-on 9V 1.66A feature? You have to charge it first, then press the button while your phone is plugged into the Portable Charger. Does it work with my iPhone or Tablet? 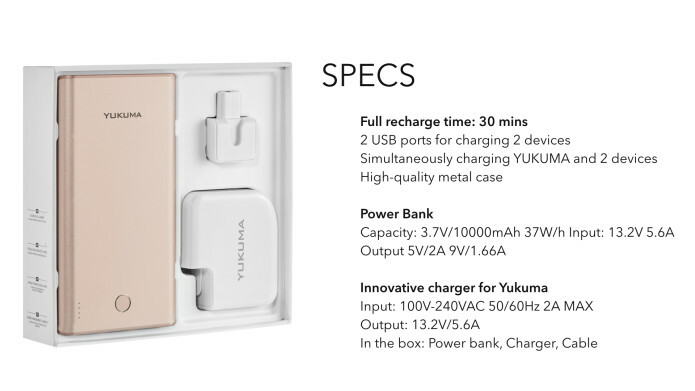 Yukuma can charge any device that has USB power cable. Can I take it on board of the plane? 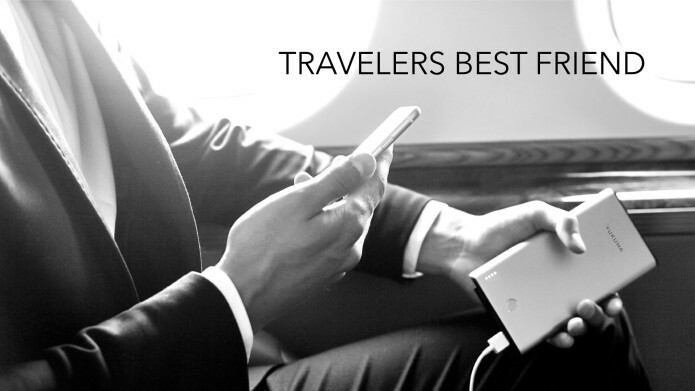 10.000mAh power banks are allowed on board of the airplane, however, please check up with your airline as the rules might vary from one country to another. Yes, we deliver Yukuma worldwide.